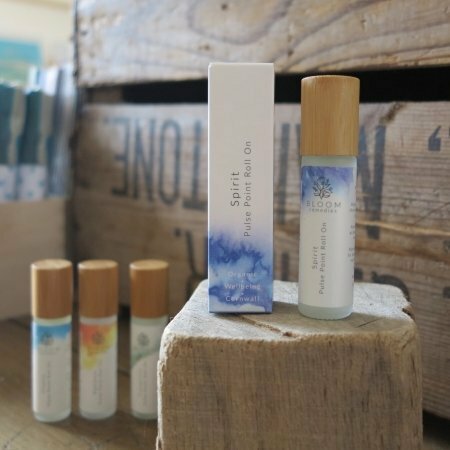 A natural organic aromatherapy pulse point roll on which is part of Bloom Remedies’ Deep Release natural skincare range, and which contains an uplifting and warming blend of signature oils including Ginger, Lemongrass, Bergamot and Lime. These sunny oils are great to inhale when a brighter and energised outlook on life is needed. The 10ml roll-on can be carried with ease and used while out and about. Apply to pulse points and inhale as part of your skin loving natural skincare ritual. Ingredients: Soja glycine oil *(soya oil), Ginger, Lemograss*, Lime*, Bergamot* & Rosemary* essential oils.